With the profound experience in the sphere, we have become one of the distinguished Manufacturers, Exporters and Wholesale suppliers Potassium Chloride IP BP. The superior quality Potassium Chloride IP BP is prepared using high-grade ingredients. Potassium Chloride is used in O.R.S. Powder and formulation. 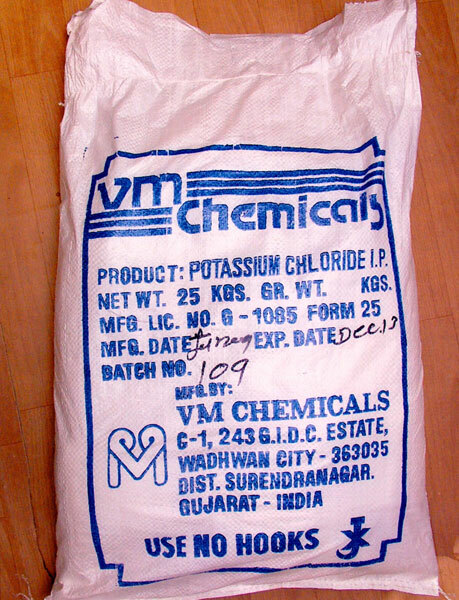 We offer Potassium Chloride IP BP in high-grade packing as per clients’ requirements.